A charter flight that crashed near Medellin, Colombia on Monday, killing at least 71 people, had run out of fuel, CNN reported Wednesday, citing a pair of sources who heard the audio recordings of the flight crew's conversations with air traffic control. "The plane is in total electric failure and without fuel," said the pilot of LAMIA Flight 2933, according to the sources. 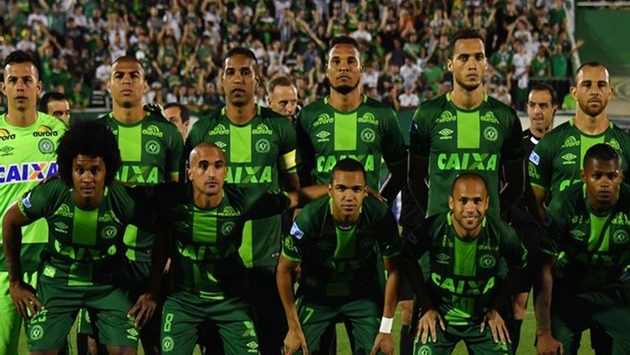 The flight was traveling from Bolivia's Viru Viru International Airport to Colombia and carrying members of the Brazilian Chapecoense soccer team and nearly two dozen journalists. Three players, two crew members and one journalist survived the crash. The plane's black boxes were recovered Tuesday and investigators continue to work to determine what caused the accident, which occurred just five miles from the airport. If the aircraft did indeed run out of fuel before crashing, the question becomes how? Air safety investigator Grant Brophy told CNN that starvation of fuel is "very, very rare in commercial aviation terms because there are so many checks and balances to make sure you have enough fuel on board." Fuel leaks, fuel pump or gauge failures and other factors can lead to fuel starvation, which causes the plane's engines to stop running.